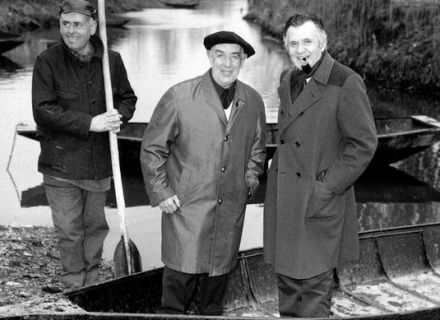 Home / Le blog / The bessinois Jean Richard (1921, Bessines-2001, Senlis) alias "inspector Maigret"
The bessinois Jean Richard (1921, Bessines-2001, Senlis) alias "inspector Maigret"
This week, the Tourist office delivers you the last article of its series of portraits of local personalities having marked with their imprint the national history. 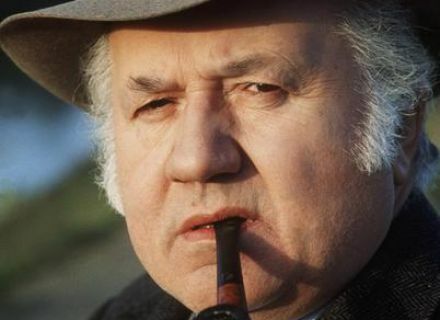 The character, whom we crunch today, is called Jean Richard alias "an inspector Maigret". Pupil to Saint Florent (*), then high school student to Fontanes, the young person Richard already ventures on the writing of sketches by making his number for the party of the end of year. Having failed on examination of entrance to the school of the Black Frame of Saumur (**), it becomes coarse humour in cabarets of Lyon. His friends' band, it is Darry Cowl, Roger Pierre, Jean-Marc Thibault, Louis De Funès nicknamed "Fufu". In 1947, he enters the National Conservatory of Dramatic Art. "Belle mentality" will be its first big success in the cinema and "Elena and the Men" of Jean Renoir, one of its best roles. Then, from 1962 till 1972, he plays in operettas. (*) the small theater of the avenue Saint Jean d' Angély, in Niort, bears his name in his honor. (**) His father was a horse breeder in the "Pierre-Levée" of Bessines. The passion of the circus comes to him when, from an early age, he raised the hens of the manor house of the "Pierre-Levée" and the high school student, he lingered in front of the house of the trainer deux-sévrienne "Marfa Corsica" during the fairs of Niort held on the place of the Breach. In 1955, he is the founder of the second zoo deprived of post-war France, the inventor in 1963 of the first leisure park with French theme with its center of attractions of the Sand sea to Ermenonville, in the Oise and the owner in 1977 of most large company of shows and leisure activities of Europe. 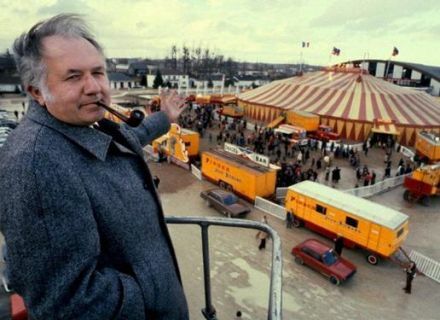 In 1980, the man, who saved the circus in France, receives national Grand Prix of the circus. To finance his expensive projects, he turns in movies and plays of uneven quality: "I am the only man to feed lions with turnips". His sacrificial passion leads him finally to the liquidation. The "inspector Maigret", it is him! Photo credits: "Jean Richard's photo" (?) 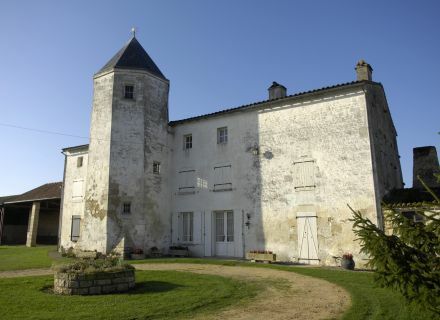 "Manor house of the "Pierre-Levée" to Bessines" (Darri - on 2008), "Jean Richard in front of his circus" Jean Richard and Pinder "in 1980" (?) and "Jean Richard to Arçais during the shooting of " inspector Cadavre " in 1968 " (? ).